Awareness of all women to join the G.S.D. to form a strong network in favor of the sustainability of the project. The beneficiaries of this project life of agriculture. 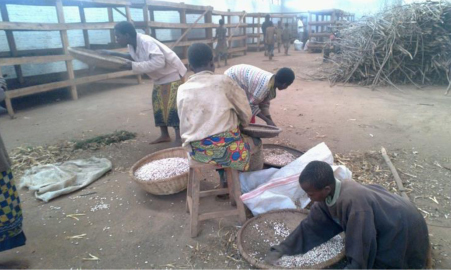 In Burundi, the agriculture system is traditional: the resources invested are not in proportion to the revenue. In addition, only limited agriculture is applied instead of twelve months to twelve. Training of the G. S. D for this modern system of agriculture. Establishment of demonstration fields, members may apply the same at home. Disposal of 600 kg seeds for the G. S.D. To ensure the sustainability of the project local leaders will be appointed, who ensure continuity within the groups of solidarity for development. The experience will be shared at the end of the project. ALDES is an association according Burgundies’ laws who supports the poorests of the society, with main focus on countryside women en girls. Action is taken to release young and wrongly imprisoned women. This all was successful. Now a program is started to reintegrate them into the society in case needed funds are available. At this moment ALDES is starting a project, with the financial support of € 3500 from Vleugels van Hoop vzw), named “Economical independency of countryside women and girls in Songa”. Realisation in November 2013. Initially there were 30 women selected but seen the local needs this amount was increased to 40 (133% realisation). ALDES attracted an agriculture agent who is steering all on community level. Therefore he is closely involved in selecting the leader-women. After the identification of this group the project responsible started to list the data. This all took place in December ‘13. Target was explaining and aligning on the project. Topics were e.g. the context of the overall project, justification, objectives, activities, expected result and the role of all individuals to make it a success. All this happened in accordance with correct procedures i.e. comparing prices based on technical and financial quotations. Those who won the quotations signed a delivery contract with norms to be respected. After the purchasing of the exploitation materials the ground works could start. 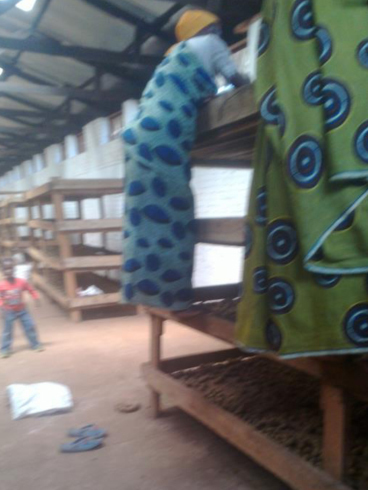 These took place in December under supervision of the agriculture expert. The leader-women were divided into solidarity-groups. All the activities which were planned for the 1st trimester were achieved. No comparison as this is the first report. Nothing to report. All results planned for so far are achieved. Our current target is to realise the next step, i.e. to realize the activities as planned in the chronogram. The 2nd trimester started after the previous report. This meant 2 new activities and several visits to the site. 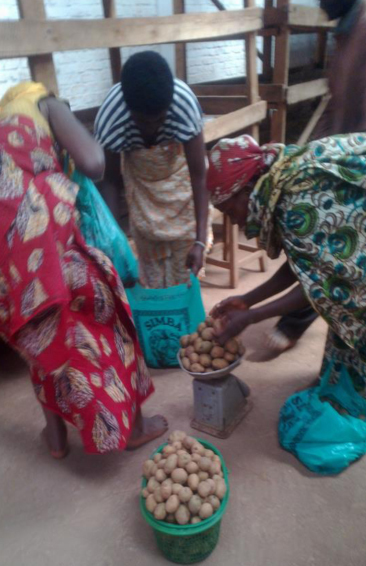 In February selected seeds (potatoes and beans) were planted and sowed over a surface of more than 1 hectare, according to modern technologies, by the nominated women. This took place in March, by the women, under the lead of an agricultural specialist. To protect the area, the responsible persons agreed on a rotating schedule to safeguard the site, day and night. ALDES was welcoming visitors on the site. The 1st visitors were the community responsibles of the sector livestock-farming of the Buriri province. During the investigation and search for farmers using modern techniques in the Songa community, our site was nominated as Model 2014. On top the administrative department of Songa community promised us a training in agricultural techniques. The 2nd visit was brought by Evariste Nikolakis, in the name of the Belgian association. He expressed to be very satisfied about the evolution of the project. The current balance is 630.000 BuFr. In the region there is a shortage of cow; therefore the lack of natural fertilizers causes the ground to be non-productive which can result in a lower return of this project. 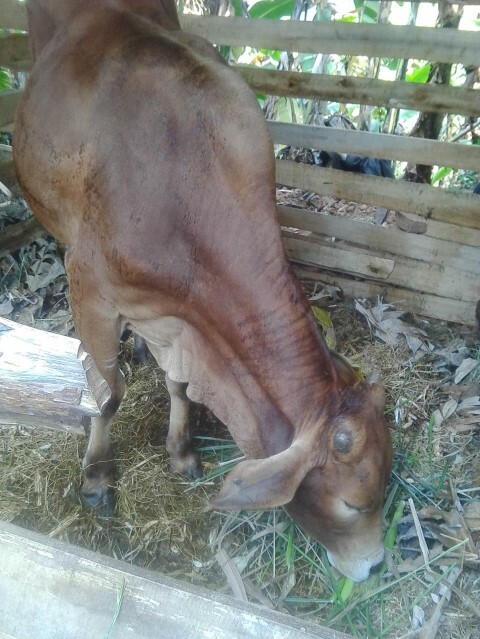 To guarantee the continuity of our projects this year, we need an additional support to purchase 3 cows. The price for a cow is € 1.000. So far all results we aimed for are achieved. Next step is the harvesting, in 2 weeks. A ‘demonstrating’ potato field was planted. The yield was 3000 kg. Keeping the sustainability of this project in mind 1000 kg was reserved for the next season and 2000 kg was divided amongst the vulnerable families who participated in this project. In June the legal representative has visited the site fora n evalution and the closing of the project. Everybody was pleased with the project, which improved the social togetherness as well as the incomes for the families. Though the general finding is that the yield was not proportional with the purchased seeds. The previous report was made before the harvesting. 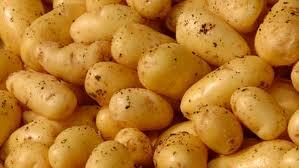 In the meanwhile the finding is that 1000 kg seed results in 3000 kg potatoes, which is too less ! The increased incomes for the families can though not be ignored. We gratefully thank Vleugels van Hoop for these improvements. The initial target was not reached though as the emancipation process takes lot of time and patience. For this reason would again like to ask Vleugels van Hoop to keep on supporting us in the fight to improve the circumstances for women and girls at the countryside. The project was budgeted on € 7.500 but financed for e 3.500 by which some activities are not paid yet e.g. training. After this evaluation a 2nd phase has to be started with the same activities, but including fertilizing the soil, strengthening the capacities of the target groups and enlarging the quantity and quality of the seeds adjusted to the soil this time. The association ALDES will ask for a study of the soil and will search for seeds suitable for the site. Our concern is that our vision related to the improvement of the economical independency of the women on the countryside will not succeed if we’re not further supported in the search for solutions for problems which could occur during the 2nd phase. Therefore we thank you for your financial support and request to keep on supporting us. 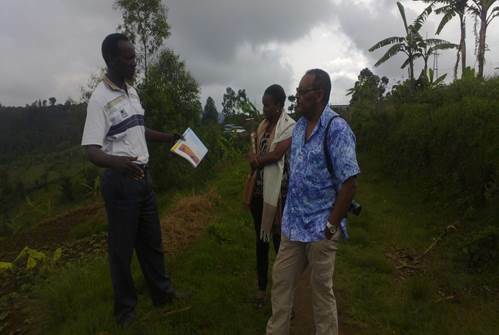 On December 1st the board of Vleugels van Hoop visited the project in Songa, Burundi. The project is running very well. New plantations of potatoes planting, a better type, was done on the 2nd plot where the plot where initially harvest took place, now maïs is planted. There is a big shortage of fertilizers to enrich the soil. Therefore most of cows would be the best. A proposal will be made to purchase 3 cows. The project, multiplication of potatoes planting, financed by Vleugels van Hoop, in Songa (province of Bururi) came to an end August 2014. Also the beans and corn fields were cultivated. Sales of clothing, despite the problems in terms of their purchase and the high taxation. 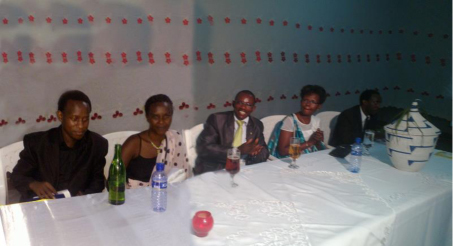 Dinners, spectacles against payment and one concert were also organized. The young people of Aldes evolved a strategy regarding the installation of structures (committee for the protection of the rights of the child, intervention and psycho-social support, support for guidance at home and care) in favor of the community in the intervention zone. There were visits on site organized in connection with awareness raising and training for women and young people with the theme ' how to fight aids in illiterate regions, contraceptive methods, the fight against desert formation by deforestation '. 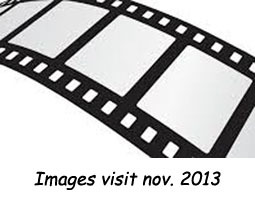 Projection of films & documentaries on aids for young people (1 x per month), organizing dance nights. The association received the visit of ' the team of Vleugels van Hoop for the evaluation of the project "economic independency of rural women and girls", by E. Nikolakis, J. De Bock, the people of ISABU, the main responsibles of the municipality of Songa, etc.. Despite the difficulties that arose, our balance is positive. We take the opportunity to thank all who far or near have helped in realizing our objectives. Name project: Purchase of cows for Burundi households 'KAZOZA KEZA MU MIRYANGO'. ALDES is committed to the welfare of vulnerable families, especially rural women and girls. In 2014 potatoes and beans were planted and harvested on an area of more than 1 hectares, by the women according to modern techniques, under the supervision of a qualified agricultural. However, the harvest was not enough because the earth was found to be not productive enough. This project is aimed at the purchase of at least 3 cows from which the manure can be used to improve the fertility of the ground. To improve the fertility of the ground to improve the efficiency of the potato harvest. 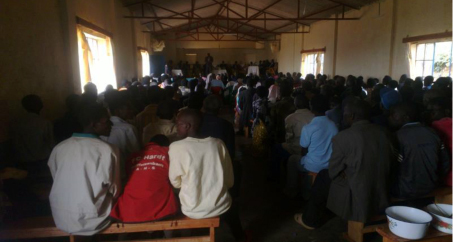 ALDES is a non-profit organisation following the Burundi’s laws. Their objective is to promote the economic and social development as well as protecting the human rights with particular focus on farmer women and girls. Since 2011 they also act for get minors and prisoned women free. These negotiations are getting more and more success. Since 2013 ALDES works together with Vleugels van Hoop vzw. New projects were starts thanks to the financial support by this organisation. 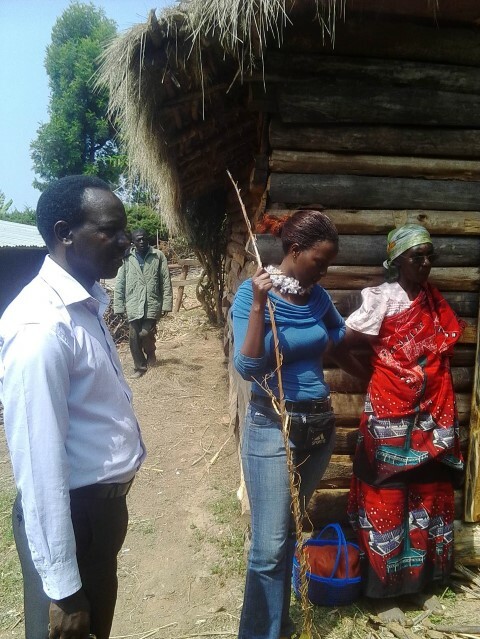 To guarantee the continuity of the project “Giving the farmers women in Songa more autonomy” ALDES restarted the activities in November 2014 with the same group. 1 ton of potatoes were planted and gave a yield of 4,7 tons (March 2015). 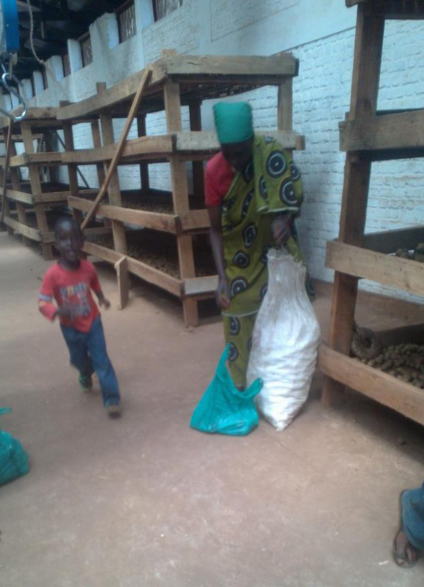 3,7 tons were divided amongst the beneficiaries; the remaining 1 ton was stored in the hangar of ALDES and will help to form a 2nd solidarity group (GDS II) in the 2nd zone of the municipality of Songa in December 2015. Vleugels van Hoop has helped ALDES in the project “Kazoza keza my miryango”. 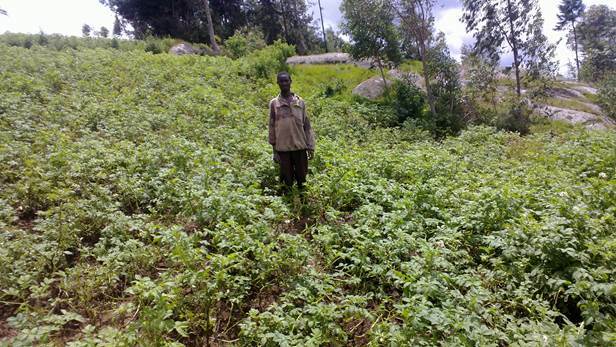 The objective here is to make the soil more fertile to increase the yield of potatoes cultivation in Songa. The obtained help was € 3.500. The funds were transferred already in April 2015. 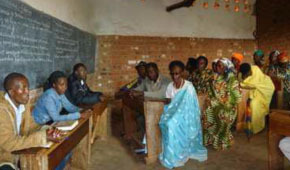 The project was only realised in July because of the crisis in Burundi. The start of the activities was to prepare the plot and to build a stable (400.000 FrBu). Also a plot of 1 hectare was purchased to plant sufficient feed for the cows (300.000 FrBu). Afterwards the association selected 2 men and 1 woman to select the cows, to negotiate and to purchase the cows. This way 2 cows (Fries breed) and a bull (Sahiwal breed) were purchased: 1.600.000 FrBu and 1.500.000 FrBU for the cows and 1.700.000 FrBu for the bull. These cows need medication and food supplements. 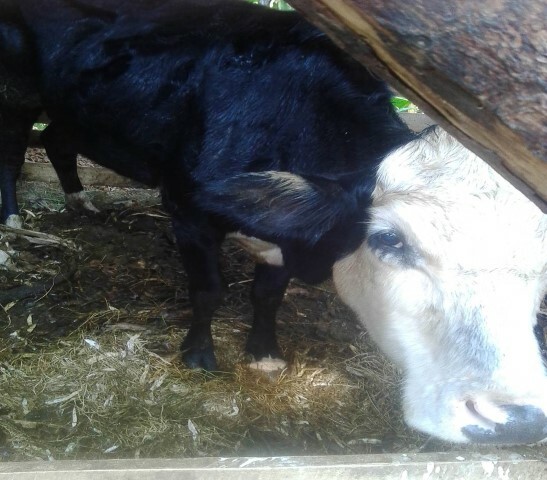 ALDES bought for 170.000 FrBu rice brans and cattle cake and kept 130.000 FrBu on the bank account for medication and other necessities during the first months. 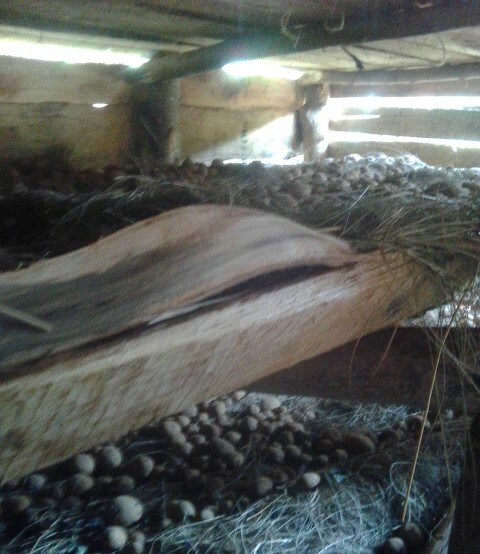 The biggest problem in restarting the project was the natural fertilisation of the potatoes (because of the huge lack of fertilizers in the region). Despite this delay the yield was satisfying: 1 ton gave a yield of 4,7 tons, being an increase compared to the first project. For the cattle project the idea was to purchase pregnant cows, which was not possible with the available funds. Huge bank transfer costs were deducted on the transferred funds and the exchange rate dropped a lot (1680 FrBu/€). On top of this the purchase of the cattle didn’t take place in the planned period because of the unsecure situation in Burundi since April 16th. The objective is not reached as the increase of autonomy of the farmer’s women is a long term process. To achieve this other trainings (both professional, economical, …) are needed besides the agriculture and cattle farming. Therefore we request extra financial support from Vleugels van Hoop to achieve our plans and to help to support the poorest of the poor people in their daily fight against poverty and deprivation. We made progress with the support from Vleugels van Hoop for which we send our sincere gratitude.